Caution, Libra. This month brings the first Mercury retrograde of 2013. This retrograde is in your 6th House of co-workers, associates and your daily routines. Mercury (Self-expression, travel and intellect) enters Pisces on 2/5 and goes retrograde on 2/23). The good news? Venus and the Sun transit Aquarius and your 5th House of passion, children and love. Venus enters Aquarius on 2/1. Anytime Venus travels through your 5th House of love, children and passion you find life flows more smoothly. Love relationships look up, people admire your beauty and you notice an ease in your routines. This is your time of the year to celebrate your love life. Single Libras should be on the lookout for potential new loves, as someone you meet could be "the one." Couples will find communication flows, conversations bond you closer and the pace of your love life is fulfilling. It is always a great idea when Venus is in your 5th House to engage in hobbies you find interesting. Children can also be a source of inspiration. The possibilities are endless, Libra. Focus on your love life and anything you love to do for fun during this transit, single or coupled. This transit lasts until 2/25. A New Moon occurs in Aquarius, your 5th House, on 2/10. 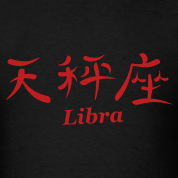 You should find this day to be memorable, Libra. You could meet a new love or be offered an opportunity to engage in something you like to do. Hobbies can be turned into profitable ventures. With Venus and the New Moon in Aquarius, circle this day on your calendar and notice all the offers that suddenly come your way, Libra. A Full Moon occurs in Virgo on 2/25. Virgo is your 12th House of issues from the past and secrets. On this day, take it easy since some long held secrets may be revealed. You could learn something about someone close that was not intended for your ears. This will happen when someone or something from your past resurfaces. Mercury (planet of self-expression, travel and intellect) goes retrograde this month in Pisces and your 6th House of co-workers and your job. You might find that there will be a few glitches or misunderstandings when it comes to these areas. Best advice: During this Mercury retrograde, be prepared for some work assignments to change suddenly or be delayed. If you're having a health issue, make sure you get a second opinion regarding the diagnosis. When dealing with Mercury retrograde, it is always advisable to re-think, review and re-check the facts. An Aries, Taurus and another Libra play special roles in your month, Libra. A Scorpio will play a prominent role. You find Scorpio to be on your wavelength this month, Libra!